While Samsung’s Galaxy phones get all the headlines, the company is doing well in the tablet market. IDC’s Q2 2018 tablet tracker had Samsung Electronics in the #2 tablet unit market share position shipping 5.3M units, second only to Apple. The tablet market has skewed into what I consider low-end content consumption devices and premium tablets that can serve as pseudo PC replacements with larger, higher-quality displays and add-on keyboards. 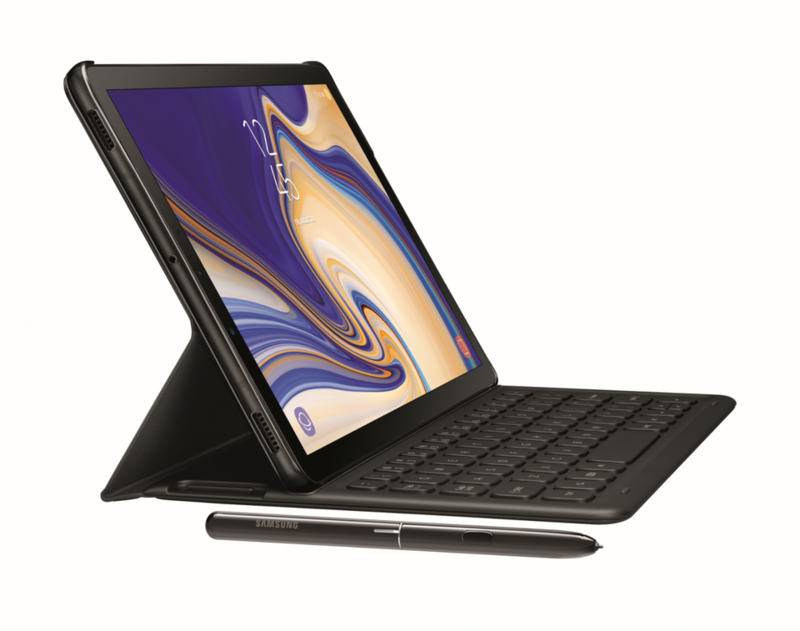 Today, Samsung launched the Galaxy Tab S4, a premium Android tablet with DeX capabilities and new S Pen that I believe amps up the productivity possibilities, but also is consistent with its solid entertainment features like high PPI displays, quad speakers and Dolby Atmos support. This announcement also reinforces Samsung’s commitment to mobile enterprise computing. The enterprise computing market is interesting right now as with Knowledge Workers; there is little sinew between PC and smartphone computing. This has been driven by the fact that few smartphone vendors are enterprise PC players and few enterprise PC players are smartphone players. Oh and then there’s the schisms between operating systems, namely Windows, Android, Chrome OS and iOS which just aren’t ready to run on smartphones and enterprise PCs. The industry is trying really hard to offer Knowledge Workers solutions to better tie their phone with their PC, but I will save that for another blog. One of the way manufacturers are bridging the gap through 2-in-1s, a device that is designed to operate as a mobile device and as a PC-like device that can run apps and multitask. This is what the new Samsung Tab S4 wants to do. The new device operates as a 2-in1 with the optional Book Cover Keyboard and unlike any other Android tablet, morphs the UI into a desktop interface with DeX. DeX adds PC features like scalable app windows, multitasking, drag and drop, multi-monitor with an HDMI to USB-C adapter (yes, really) and is architected to work well with a keyboard and a mouse. Like other premium 2-in-1s, the Tab S4 come standard with a new S Pen adding similar pen functionality as the Note8 announced last year. The Tab S4 supports Screen-Off Memo feature and through Samsung Notes, navigation, translation, and Live message. I wrote about these features in my Note8 review here.Also appreciated by businesses around the globe, including defense departments of many countries, is the Tab S4 support for Knox. I believe that by adding Knox, the Tab S4 is the most secure Android tablet anyone can buy, including those claiming to be “Google certified.” The fact is that Samsung devices with Knox are deployed by militaries, governments, financial institutions, and health care agencies, so it will likely be secure enough for your business. There are no foolproof security solutions, and everything can be hacked over time, so staying ahead of security is important. One major trend I have tracked for years is the consumerization of IT. All workers are consumers and the more millennials we get into the workforce, the more flexibility they want to blend work and play hours and places. 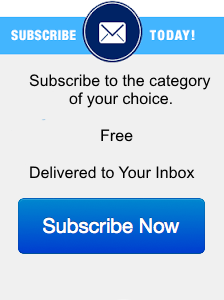 This is why more and more enterprise devices are supporting “consumery” features. Workers want the freedom to work and play anywhere. This first starts with the display. 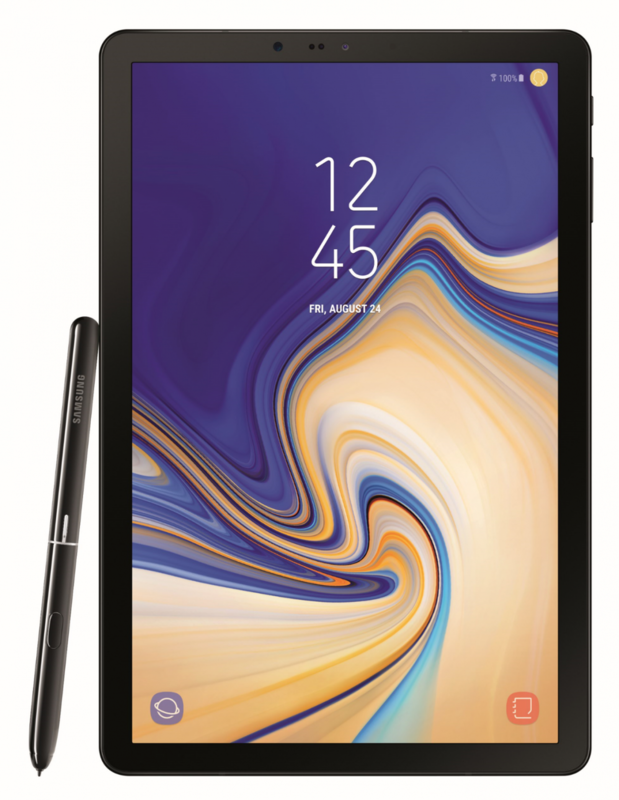 The Galaxy Tab S4 sports an awesome sounding 10.5-inch Super AMOLED at a 16:10 screen ratio at a 2,560 x 1,600 resolution, delivering 287 PPI (pixels per inch). I am very excited for this display as the PPI plus Super AMOLED combination should beat everything out there on the market. I am hoping Samsung send it to Display Mate for official testing to validate this as movies and photos should look amazing. I am hopeful text looks good as well. It appears Samsung hasn’t slouched on audio quality either as the Tab S4 comes with quad speakers “tuned by AKG” and with Dolby Atmos surround sound support. While I don’t expect many to use Dolby Atmos, I think it’s an impressive checkbox item. I am looking forward to trying out the device to see how loud and crisp it sounds. The Tab S4 also supports one of my favorite “work anywhere” features, an on-board LTE modem solution. I strongly support adding connectivity for Knowledge Workers as it transforms work habits and enables unlimited freedom. If you have LTE on your tablet or PC, you know exactly what I am talking about. The Tab S4 supports a CAT 16 modem, which, if 4×4 MIMO and 3x CA is supported, you should get gigabit speeds and more. 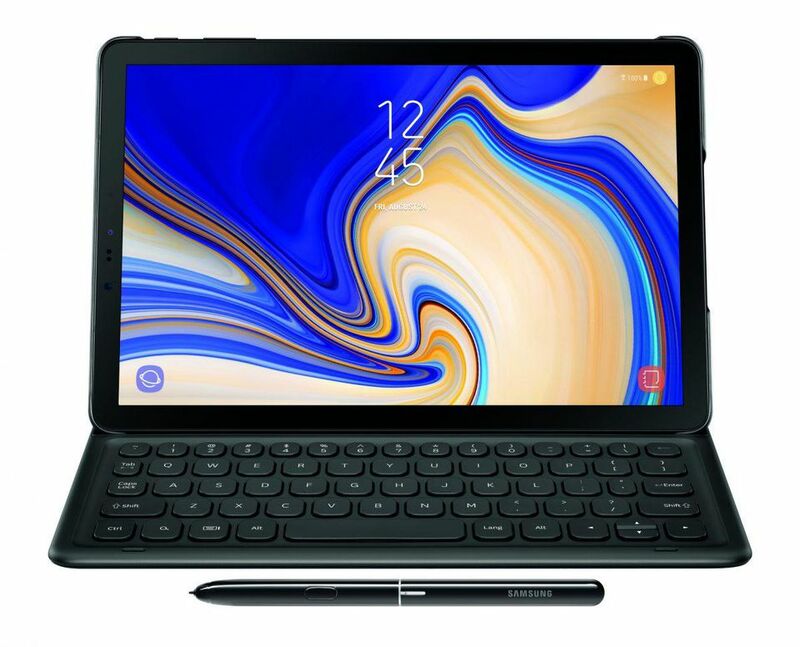 The Galaxy Tab S4 starting price point is $649.99 for the 4GB/64GB version, and if they order between August 10 through September 8, they can get 50% off on the Book Cover Keyboard (list price $149.99). Businesses should check with their local reseller. All in all, the Galaxy Tab S4 value proposition looks strong for businesses and workers and I like the Android plus DeX combination versus Chrome plus Android which seems a bit of a kludge to me right now. Hey, if you want Chromebooks, Samsung has those too, but you don’t get Knox or DeX. If your business has Android phones and are looking for Knowledge Worker or vertical tablets or are looking for an affordable mobile alternative to a PC, I strongly recommend you consider the Tab S4.